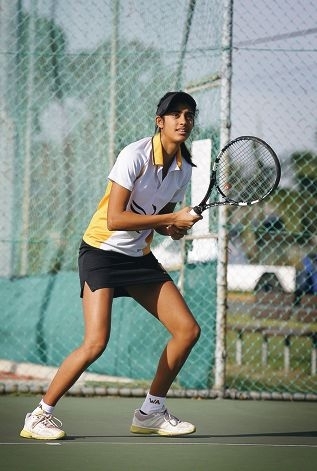 Charleen Tiwari is in Adelaide to play in the School Sport Australia National Tennis Championships. The 16-year-old, who was introduced to the game seven years ago and trains in Bull Creek, has played at various levels nationally and internationally, tackling both the Australian Junior Tour and the International Tennis Federation’s Junior Tour. She has also trained at Barcelona’s Bruguera Tennis Academy and in the US under Lynne Rolley who previously trained Lindsay Davenport and Jennifer Capriati. ‘I was an enthusiastic sportswoman from a very early age. Sport comes naturally to me,’ the Success resident said. Tiwari said she hoped setting short and long-term goals would enable her to push into a successful career.